5) There’s some helpful advice in there! Even if you don’t believe it’s the inspired word of God, there’s still a lot of practical wisdom to be gained. For example, don’t take the best seat at a dinner party. Don’t speak on a subject before you have heard everyone out. And when your crazy frat bro from college asks you to cosign his loan, for heaven’s sake, don’t do it! These are life skills, people, LIFE SKILLS. 4) So we don’t sound like idiots when we try to talk about it. Ever heard the phrase, “God helps those who help themselves”? Not in the Bible. How about “Spare the rod and spoil the child”? Nope. Not there either. Before referring to something that you *think* is in the Bible, you might want to actually check. You’d be surprised. 3) Know where you came from to know where you’re going. Don’t get me wrong, I don’t believe America is a Christian nation, nor do I believe that most of our Founding Fathers were Christians. But the undeniable fact is, our culture, from our laws to our language, has been heavily influenced by Judeo-Christian values. 2) It’s great literature, and pretty interesting, too. Scholars consider the Bible to be some of the finest composition ever written, from the poetry in Psalms to the argumentation in Romans. Not to mention the fact you’ve got romance, wars, spies, murder, mystery, and even biting sarcasm embedded in these writings. 1) It’s filled with stories of people just like us…. Ok, so maybe we don’t go around sacrificing animals and washing our house guests’ feet, but we have more in common than you think. 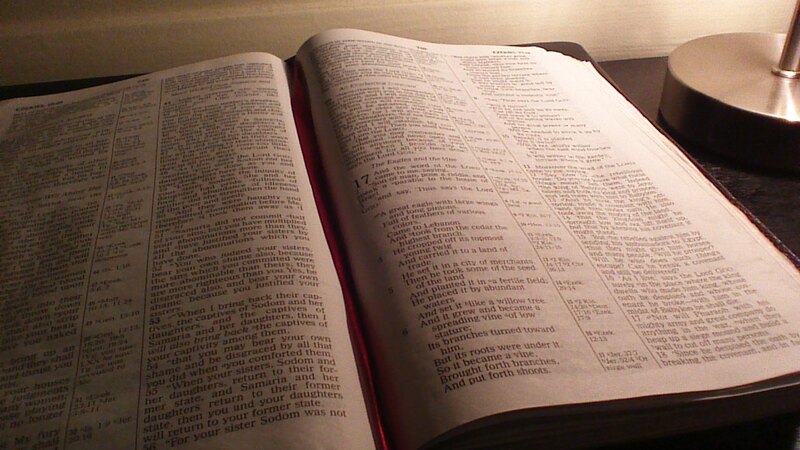 The entire range of human action and emotion finds expression within the Bible. Ever felt like a failure? Read about Peter. Too busy? Try Martha. Betrayed? Try Psalm 55 on for size. Jealous? You can surely relate to Leah. …And a God that is full of surprises. Lots of people are willing to affirm that “God is love.” But the Bible also describes Him as wrathful, compassionate, holy, jealous, a rock, a shepherd, suffering servant, comforter, and judge. Every page contains a new revelation about who He is. Even if you don’t believe in God, or you don’t believe everything the Bible has to say about Him, shouldn’t you at least know what it says before you make your final decision? 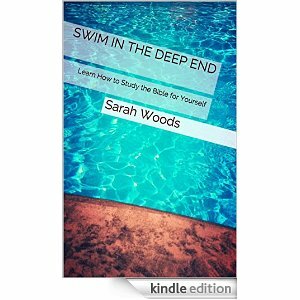 Swim in the Deep End is officially available on Amazon! Click here to purchase for $2.99, or read for free on Kindle Unlimited!